You can't drink Monkey Booze yourself in Sekiro: Shadows Die Twice, but there are other NPCs who might have a use for it. Sekiro: Shadows Die Twice includes a number of intriguing items you’ll pick up as you explore, and in true FromSoftware fashion, discovering their purpose is often left up to you. One such item you’ll find multiple times in Monkey Booze. 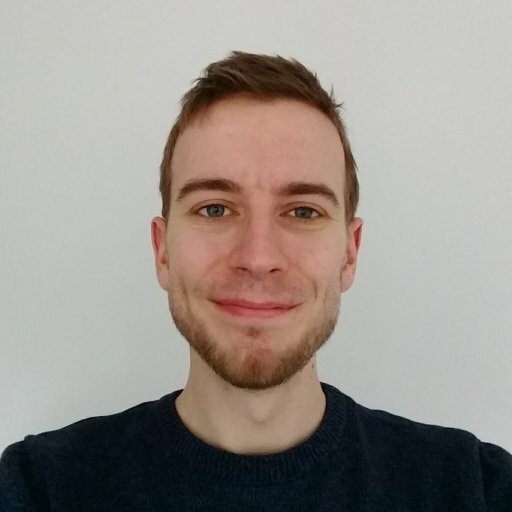 This powerful drink appeals to many of Sekiro’s NPCs, and can be used to discover more of the world’s history. In this guide we’ll explain what to use Monkey Booze for in Sekiro: Shadows Die Twice. Monkey Booze is a type of Sake in Sekiro: Shadows Die Twice. Sake can be offered to a selection of NPCs to hear dialogue about their past and the history of Ashina. In this guide we’ll focus on Monkey Booze, but for the full list of Sake and who you can offer them to, check out our Where to get Sake guide for Sekiro: Shadows Die Twice. Speak to any of the NPCs listed above and you’ll be given the option to “Offer Sake” to them. Select this and you’ll be able to choose any of the Sake currently in your inventory that can be offered. Select the Monkey Booze for its unique dialogue. All of them will comment on the strength of the sake, and while we won’t spoil the exact details of their dialogue, The Sculptor’s words are probably the most interesting. He’ll tell you about his past and even make reference to the Finger Whistle you’ll find on the Guardian Ape. 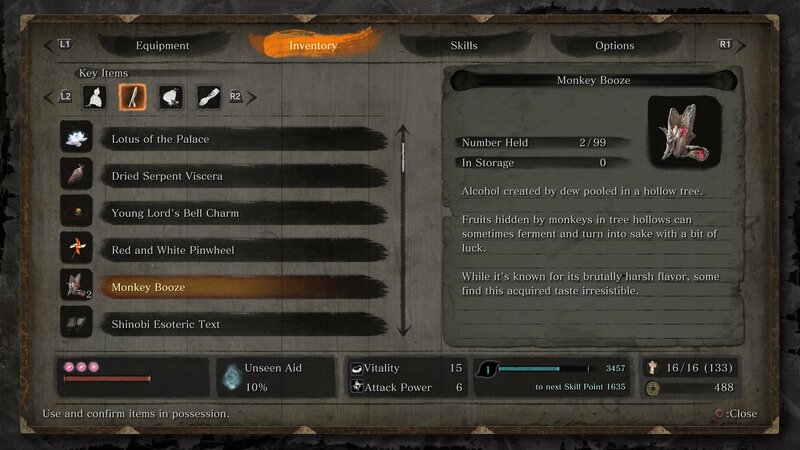 There are three sources of Monkey Booze in Sekiro, which means — unlike other Sake — you’ll have enough to give to all of the NPCs listed previously, provided you know where to find it. If you’re searching for all the booze (aren’t we all), check the locations listed below. In the Sunken Valley Passage after the Riven Cave Sculptor’s Idol, there is a large group of around 20 monkeys. Kill them all to get the Monkey Booze. On the path to Senpou Temple, close to the White Pinwheel and the Demon Bell. The booze is in the hands of a statue in a side room next to the barred Demon Bell door. 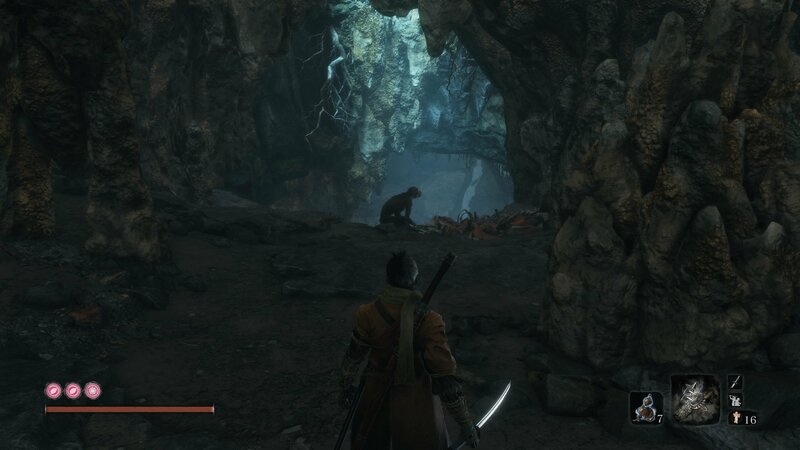 After fighting Snake Eyes Shirahagi In Ashina Depths there’s a path you can grapple upwards to on the left in the cave. One path here will take you to a Prayer Bead, but keep going forwards, crouching under the rocks to find a lone monkey enemy with some Monkey Booze. That’s all there is to know regarding Monkey Booze use in Sekiro: Shadows Die Twice, but we have plenty more guides for the game to check out. If you really don’t like monkeys, take a look at our Folding Screen Monkeys boss guide. If you’d rather a more peaceful endeavor, here’s where to find all the Treasure Carp scales in Sekiro.